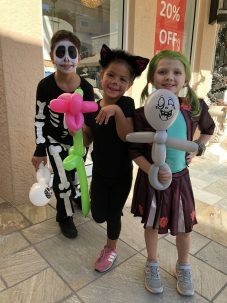 On Saturday, October 27th, The Village Shops turned into a haunted house with costumes, kids, candy, and pumpkins galore! The endless entertainment and heightening excitement kept the families rotating from one activity to the next. 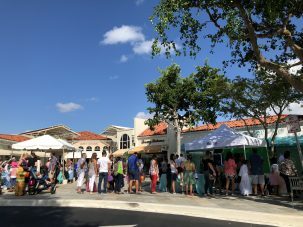 The photo booth line immediately filled and the memories were captured throughout the whole event. The princesses and fairies flashed their famous smiles and the monsters and villains showcased their best scary faces. 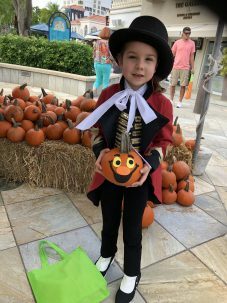 Everyone costume was caught on camera and each family received email and printed photo keepsakes. 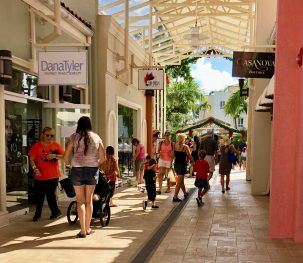 At 2pm, The Village Shops kicked off trick-or-treating as the little ones made their way around to the retailers showing off their frightfully fun costumes. The candy bags quickly filled with each family occasionally stopping to satisfy a sweet tooth. 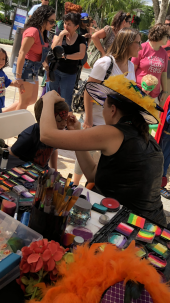 The balloon twisters and face painters skillfully conquered crowds of people with fairy face paint, superman masks, and the balloon wands and swords to match. 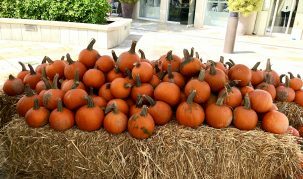 There were so many pumpkins on both the north and south side of The Village that it looked like a pumpkin patch. The kids picked their favorites and bee lined for the craft tables. 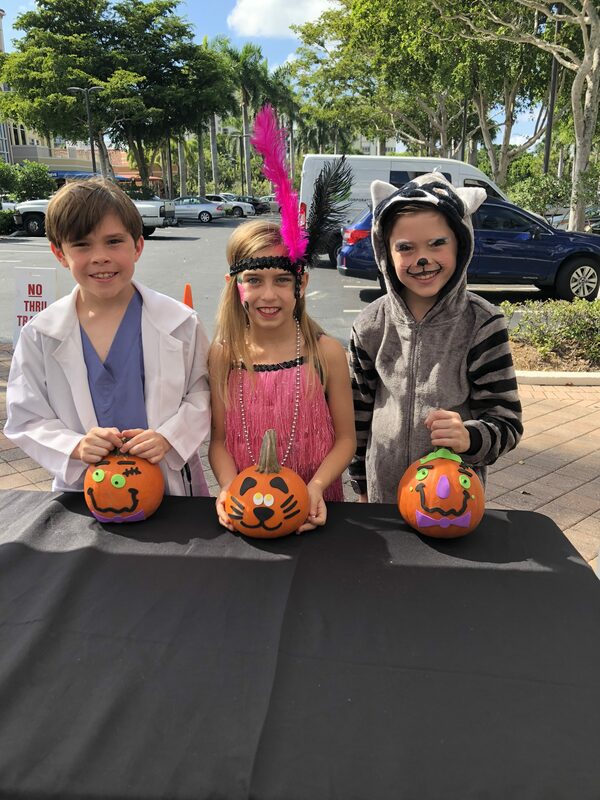 With the help of stickers, pumpkins transformed into Jack-o’-lanterns, vampires, Frankensteins, and cats right before their eyes! Monster Mash was a scary good day on the Bay!